Description: Huntsman created this walking stick as a tribute to friend and Epicurian Alessandro Tome, who has mastered the art of smoking cigars whilst doing left and right with elegance on the fields. 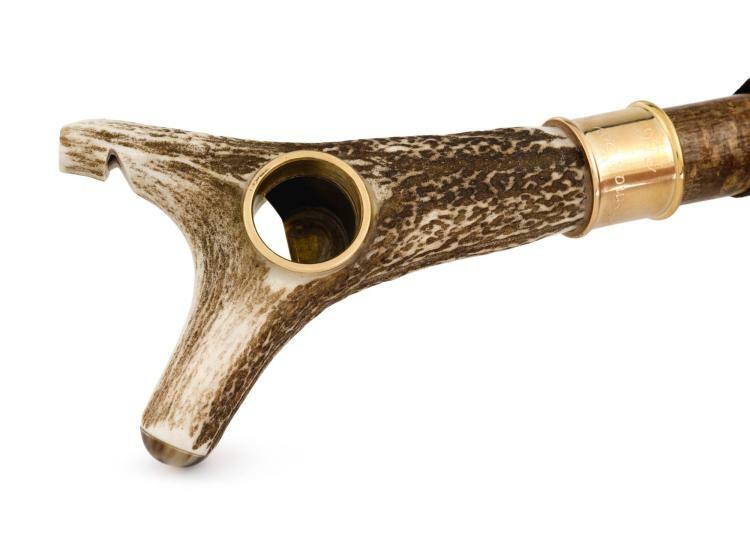 The hand made horn walking stick features a brass cigar holder, so you will never have to worry about where to drop your cigar whilst at your peg. The walking stick can be further personalised with a silver ring monogrammed with the buyer's initials.